As human beings, we are used to things having a beginning and an end. We are born, we grow up and then we die. While the human heart never really gets used to the idea of death (because we were created to live forever), we do know that there is a time to start things and a time to wrap them up. Our tiny minds are so finite that we cannot possibly comprehend things that are beyond our existing paradigms. God on the other hand, has been around forever. There has never been a time where He didn't exist. Before the mountains were created, before the earth spun on its axis, God was. He was not born and He will not die. 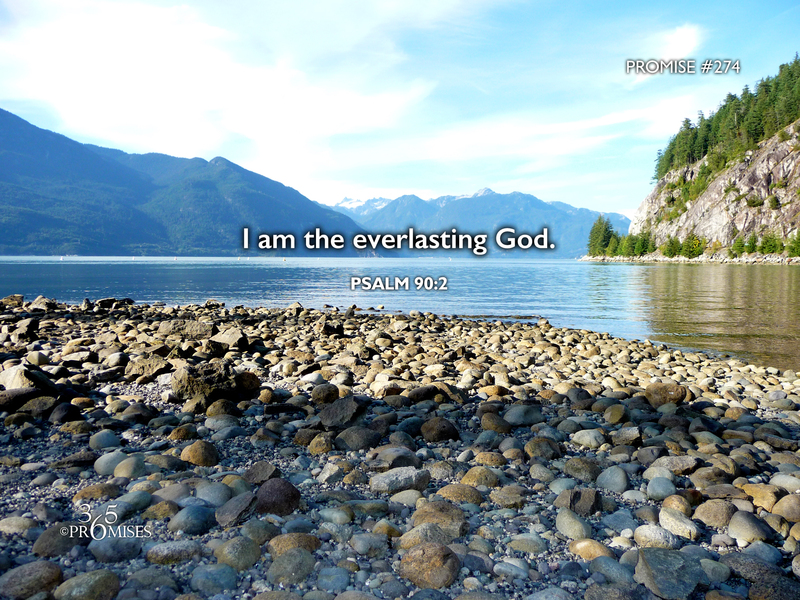 He is the everlasting God. He lives forever. While this thought might have a tendency to short circuit the wiring in our brain, may we ask God by the power of His Holy Spirit to help us comprehend His everlasting nature. May each one of us take great comfort in knowing that our Father is the everlasting God and He has called us to live an everlasting life with Him!